In the near future, the food that is available for our consumption has changed, but a longing for the taste of “home” always remains. What is this instinct towards nostalgia, or a desire to return to the past, which transforms itself into an anxiety of progress? 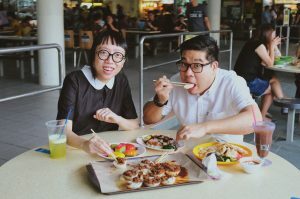 SAD: The Last Meal addresses Singapore’s obsession with nostalgia, by looking at the alleged death of the Singaporean hawker, the corresponding fetishisation and commercialisation of local food iconography, and somewhere in between, the anxiety around losing a facet of heritage that this country holds so dear—our local food culture. If home were to cease, what would you like as your last meal? 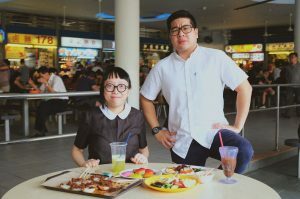 Featuring dystopian re-imaginings of our beloved hawker fare, the programme is a specially-commissioned artist x chef collaboration, with a four-course menu by Ming Tan (Executive Chef and Director, JAM at Siri House), and an audio-visual experience by Visual Artist Debbie Ding.